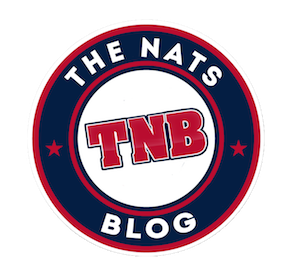 Home / Uncategorized / The Nats Blog is Recruiting! We’re looking for writers for each of our two beats, the first of which is baseball commentary and analysis. 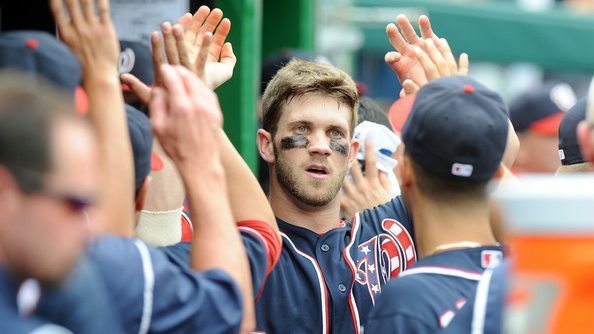 This entails writing insightful and well-argued pieces about the Nationals, whether they’re personal musings as a fan or analyses of how a player is doing or a move the Nationals should make. These are not recaps, though you are encouraged to write about a topic that is relevant to the most recent game or games before your article. All angles are welcome, but perspectives informed by knowledge about scouting, prospects, or advanced stats are a plus. You can find examples of commentary here and here, and examples of analysis here and here. The second beat is about off the field matters. This can mean anything from Wilson Ramos signing with the Rays to Bryce Harper getting married, and everything in between. 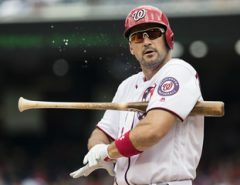 The best examples of this content we’ve produced are everything our esteemed Mina Dunn has written, but especially her Off-The-Field Recaps, a weekly summary of everything interesting with the Nats and around baseball, whether that’s a cute Instagram of a player and his dog or hijinx in the Pirates’ pierogi race. Since this is a relatively new beat, we’re also eager to hear any ideas you might have for article topics, so please include those with your application. Please note: You are absolutely welcome to write for both beats if you want, and doing that does not mean you will have to write twice as much. We are also looking for graphics, video, and social media contributors, even if you don’t write. If you have experience with any of those things and are interested in doing some work for us, please apply! To apply to write, email at least one baseball-related writing sample to aflax19@gmail.com and minadunn0@gmail.com. For non-writing positions, send us a few ideas you’d have along with some examples of your past work (baseball related or not). There is no deadline, but the sooner you get your application in is better. If you have any questions, feel free to tweet or DM @AndrewFlaxTNB or email me. We’re looking forward to seeing your applications!